Beauty, vintage and a ‘pop up’ shop rolled into one – what’s not to love? This weekend Inma and Lou, aka Pop Up Parlour will be at Cox and Baloney’s Vintage Boutique on Cheltenham Road to offer vintage makeovers – from victory rolls to the perfect red lip. The duo can normally be found working their magic on hen parties, brides and at corporate events but this Saturday see’s the launch of their first ever Saturday Salon. 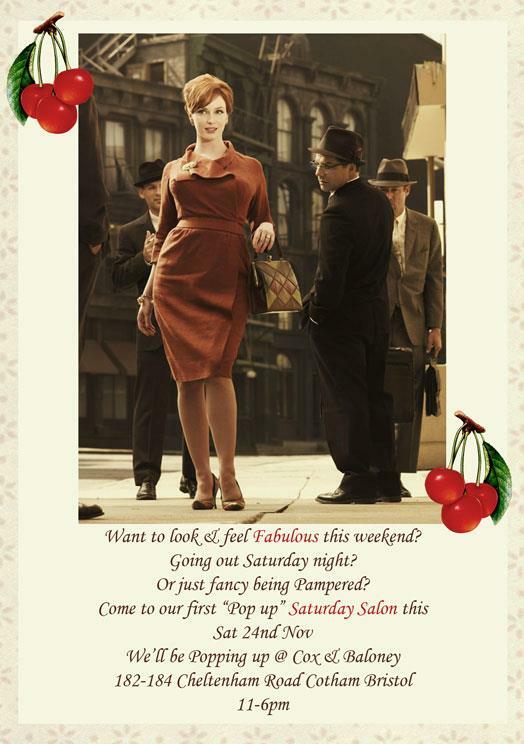 The pop up salon will be there from 11am till 6pm and you can contact the duo or the boutique for prices. For future Saturday Salon locations, check out their Facebook page. 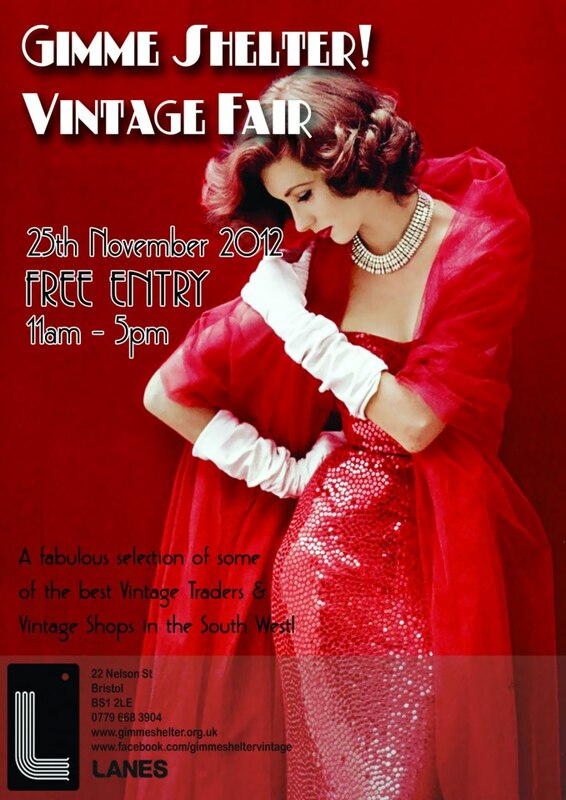 On Sunday Gimme Shelter!‘s vintage fair returns to The Lanes – and Ship-Shape and Bristol Fashion will be there, too! I’m joining forces with Beautiful Plumage and Annie by Amy to sell my vintage wares, and we’re not alone – some of Bristol’s best vintage traders will be there selling jewellery, clothes and homewares from the 1930s through to the 1980s. Entry is free and the action kicks off at 11am, check out the Facebook event page for more info. See you there? 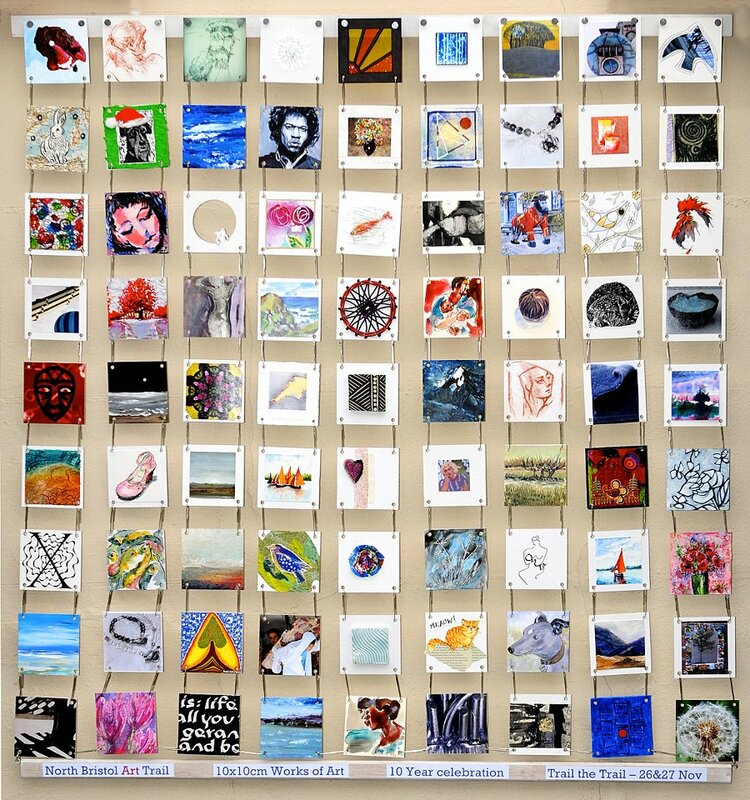 It’s not strictly fashion, but this weekend the North Bristol Art Trail takes place across, well, North Bristol, kicking off with a preview evening tomorrow night. Artists and designers will be opening their homes and studios to the public in this annual free event, and there are over 100 artists involved across Redland, Cotham, Montpelier, Bishopston, Westbury Park and Henleaze. Disciplines featured include screen printing, textiles, ceramics and photography – check out the trail map to find your nearest participating locations. Have I missed any other local events? What are you up to this weekend?